I have gone back and forth on whether to write this post or not. But it’s something that has been so significant to me as a Mum that I don’t think I could continue my blog without it. 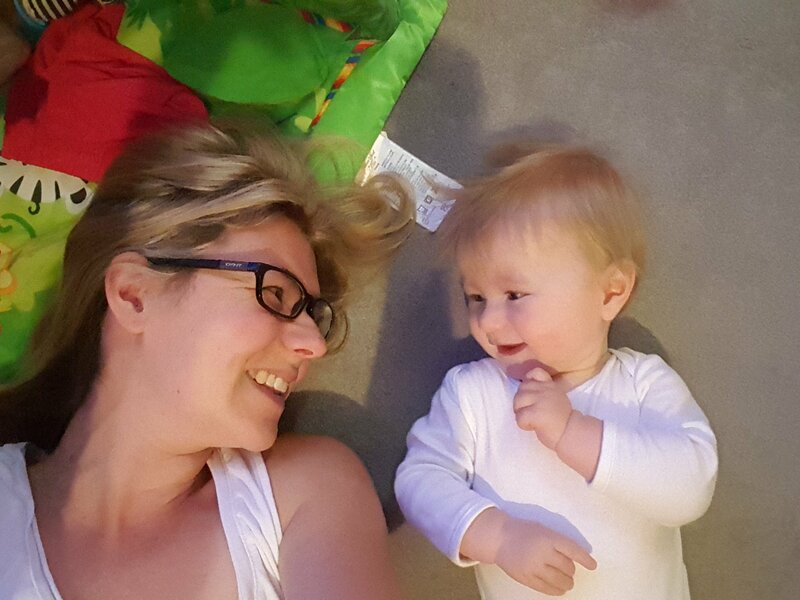 I haven’t told many people that I have/had post natal depression – not because I am ashamed but because I didn’t want to seem like I was being a drama queen, which in hindsight is silly because actually no one who matters would ever think that. So I wanted to put my thoughts down and also thank those who have been there for me – and those who haven’t. You may have read my earlier post about early motherhood and how I found it a lot tougher than I expected to find it. To be honest looking back on those early months now I should have known something wasn’t right because it wasn’t right and I was struggling for months with what I now know was Post Natal Depression. About a month ago I got to my breaking point, my breaking point being the moment I realised I actually needed help if I was going to save both my marriage and my sanity. It happened on a Tuesday as I drove down the A22 towards Hailsham and a date with some Mum friends. I was late, and I was crying because I had shouted at my baby when he wouldn’t stop crying while I tried to get out the door. I was tired, stressed, and above all I felt a huge weight of guilt because I wasn’t a good enough Mum. The following day I burst into tears on the phone with my Health Visitor and the day after that I had a pack of anti-depressants in my hands. The relief was instant. Not because of the pills but because I had done something to help myself; the pills themselves took a few weeks to really work but day by day I felt my mood lifting and I actually felt that new mother euphoria I expected to feel 8 months ago. Part of me feels bad and guilty that I didn’t realise sooner, that I wasted the first precious months of Drakes life not feeling quite like the mother I knew I could be, and that I put my marriage and relationships at risk. But another part is glad because now I can really really appreciate the time I have now and I know that I tried my absolute hardest back then to cope the best I could. PND is very common and I expect a lot of people keep it to themselves for various reasons but during pregnancy you do read a lot about it so I thought that I would have known sooner and recognised the signs earlier in myself but it isn’t that simple. I read that with PND you struggle to bond with your baby and for me this was not the isssue as I bonded with Drake instantly and my issues never actually centred around him. Strangely my depression centred on everyone else in my life and primarily my husband. I felt nothing really for anyone except Drake, I became angry and resentful of what everyone else was doing around me and it got to a point where Giles and I could bearly speak of an evening because I would shout him down at every hurdle (the main one being our baby who didn’t sleep!) we tried councilling which helped us work through things but didn’t really fix the real problem which was me. At times I worried I just didn’t love him anymore but I still felt deep down I did, I just couldn’t get at those emotions and all that sat at the surface was resentment and hate. It sounds awful saying the word hate about my husband but I really want to get across the turmoil that was going on inside me because at times I really did feel hatrid like a snake coiling around my insides waiting to strike and bite at the thing closest to me. Giles. Sometimes I felt like Drake and I were on one side of a fence and he was on the other with everyone else – I just felt so disconnected. As much as we have made amazing memories and done some lovely things together as a family, depression is like a shroud that stays with you in the background. Since taking the anti-depressants my relationships have changed completely, I feel like i’ve fallen in love all over again with my incredible husband. He is the best Dad that our baby could hope for and I feel closer to him now than I ever have done. He stuck by me for the most part and I am so grateful to him for that. It was tough for both of us and we both made bad decisions and said things without thinking or that we didn’t mean. I am also sure there are plenty of rows ahead over who’s turn it is to get up or how he needs 20 minutes on his phone every morning to ‘wake up’ (as if a crying baby at 6am isn’t enough of a wake up call!) But at least now balance has been restored and we can argue like a normal loving couple. I have also been so lucky to have made some great friends who have always been there with a sympathetic ear and similar stories of babies who refuse to sleep or drive you nuts with needyness. Couldn’t have got through mat leave without them and it’s been amazing for Drake to grow up around such good ‘buddies’ and I hope we continue to be friends for many years to come. Of course some friends have drifted away and I did get the feeling early on that a few people got tired of my anxiety and felt I wasn’t being happy enough with what I had and to those people I just want to say I hope that you never go through depression or that you never struggle and reach out to your friends only to be ignored, excluded, mocked, or shamed. Having PND has taught me to value the good ones and forget the bad because life is hard enough without people in your life who don’t value you. I know things won’t always be easy but I definately feel like the mother I always knew I would be and that is the best mother to my baby, I am so proud of myself for everything I have become and proud of the gorgeous, loving little human Drake is growing into. He is so so lucky to have such an incredible family around him of Nannies, Grannies, Aunties, Uncles and friends.